Step out of the city life by going to Île de la Cité and La Petite Ceinture du 12th arrondissement. Deepen your sense of the past at sights like Basilique du Sacre-Coeur de Montmartre and Arc de Triomphe. Explore the numerous day-trip ideas around Paris: Disneyland Paris (in Marne-la-Vallee), Cote Sainte-Catherine (in Rouen) and Chateau de Blainville-Crevon (in Blainville-Crevon). And it doesn't end there: explore the world behind art at Musee d'Orsay, admire the landmark architecture of Louvre Museum, contemplate the long history of Sainte-Chapelle, and admire all the interesting features of Eiffel Tower. 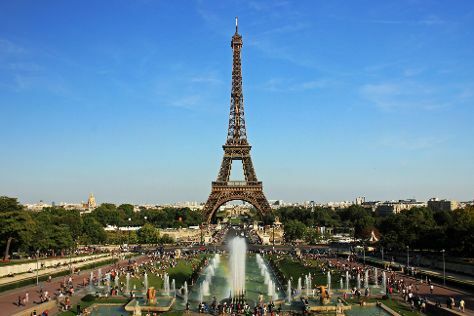 Inspirock's itinerary builder makes planning a Paris trip simple and quick. If you are flying in from Canada, the closest major airports are Paris-Orly Airport, Charles de Gaulle International Airport and Paris Beauvais Tillé Airport. In April, plan for daily highs up to 18°C, and evening lows to 6°C. Cap off your sightseeing on the 18th (Tue) early enough to go by car to Boulogne-Billancourt. Boulogne-Billancourt is a commune in the western suburbs of Paris, France. Kick off your visit on the 19th (Wed): explore the historical opulence of Palace of Versailles and then don't miss a visit to La Galerie des Batailles. Get ready for a full day of sightseeing on the next day: get to know the fascinating history of Grand Canal, take in nature's colorful creations at L'Orangerie, then step into the grandiose world of The Trianons & The Hamlet, and finally get to know the resident critters at Parc Zoologique et Chateau de Thoiry. To find where to stay, ratings, photos, and more tourist information, go to the Boulogne-Billancourt trip planning app . Boulogne-Billancourt is very close to Paris. June in Boulogne-Billancourt sees daily highs of 27°C and lows of 15°C at night. On the 21st (Fri), wrap the sightseeing up by early afternoon so you can drive back home.